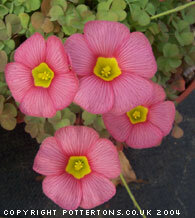 Many beautiful large but low growing pink flowers with a yellow eye in May or June. Best in the alpine house or cold frame. Naturally small bulbs.